Names are our titles, our passports to the world, the opening words to the stories of our lives. In many ways, they function as compressed histories, cultural badges that provide clues to our race, religion, ethnicity, kinship, class, and nationality. Each name we encounter is a window to a different history, an unfamiliar tradition or heritage, a new sound, sometimes even a new language. One way or another, every name offers up the promise of a unique story. 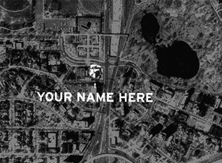 THE LANGUAGE OF NAMES will use the names of each and every person living within a three mile radius of the Walker Art Center as a catalyst toward changing the way we look at an urban community, and more critically, re-framing the way that community looks at itself. This geographic area (encompassing 10 zip-codes) is comprised of a rich amalgam of races, religions and ethnic groups -- including Somalis, Hmongs, Native Americans, African Americans, Latin Americans, and Russians - a population also representing a wide array of lifestyles, socio-economic classes, and ages. Like most large urban cosmopolitan centers, people are divided into localized neighborhoods, unaware of, or at best inattentive to, the presence of their neighbors. For most of them, a name is something you look up in a phone book. Only when you need it. I intend to transform the lobby of the Walker Art Center into a kind of community space - a multi-dimensional interactive artwork aimed at integrating personal identity exploration within the broader realm of community self-awareness and understanding. I want THE LANGUAGE OF NAMES to be a place where people can come to find and learn about themselves and a place where they can find and learn about each other. In the end, I hope to generate a simple yet profound basis for appreciating the ways in which "the language of names" is spoken by the diversity of races, cultures, nationalities, religions and classes within the three mile radius of the Walker Art Center. Something between a lesson in language and a window to cross-cultural understanding, I want THE LANGUAGE OF NAMES to stimulate a re-evaluation of the way every resident thinks about their neighbors, their neighborhood, their community, even their city. Secretly and underneath it all, it also has the chance to change the way they think about museums, and ultimately, about the role of art itself. The title for my exhibition, THE LANGUAGE OF NAMES was inspired by (I should say "stolen" from) the title of a wonderful book of the same name by Justin Kaplan and Anne Bernays published by Simon and Schuster in 1997. The full title of their thoroughly researched and insightful book about names is THE LANGUAGE OF NAMES: What We Call Ourselves and Why It Matters. I very highly recommend it.